Quinns: Paul, there’s so much Games News to unload off the Games News truck today. We have to get it in before it spoils in the sun. Quinns: Huh, here’s something interesting we don’t usually put on the shelves, a tale of a Kickstarter gone sour and plagiarism accusations. We don’t usually start off the news with high drama, but I’m not sure this is a story we can ignore. 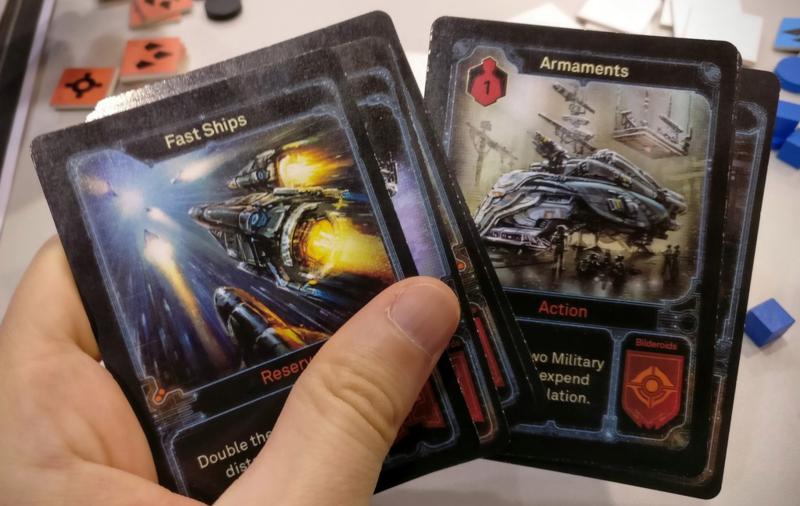 Last week publisher Leder Games announced that it was cancelling the forthcoming asymmetric science fiction game Deep: Enemy Frontier, retaining “title, theme, and art assets,” but returning the design itself to designer Samuel Bailey. 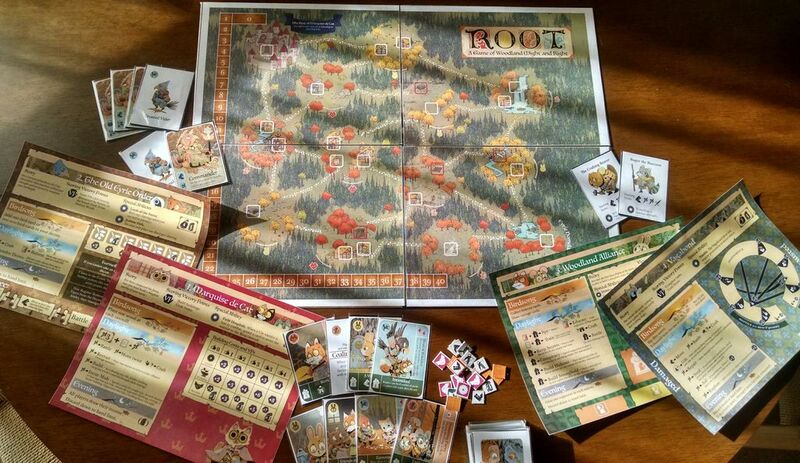 But things took an unexpected turn when Bailey replied to Leder Games’ post on BoardGameGeek to state that he was not only entitled to the rights of the game, but also that Leder had “stolen” his ideas and implemented them in the forthcoming Root, which raised $600,000 on Kickstarter last year. The discussion quickly descended into both parties publicly accusing each other of dishonesty and, as yet, hasn’t yet seen any resolution. 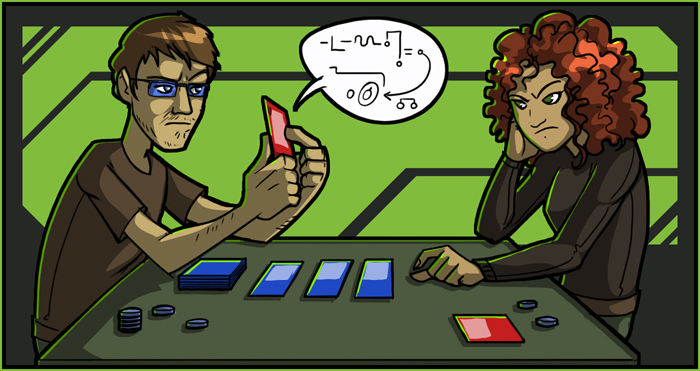 Frankly, with open playtesting being so commonplace within the board gaming scene, it’s a testament to the decency of the hobby that these disagreements don’t occur more often. Here’s hoping all parties are able to find a resolution. 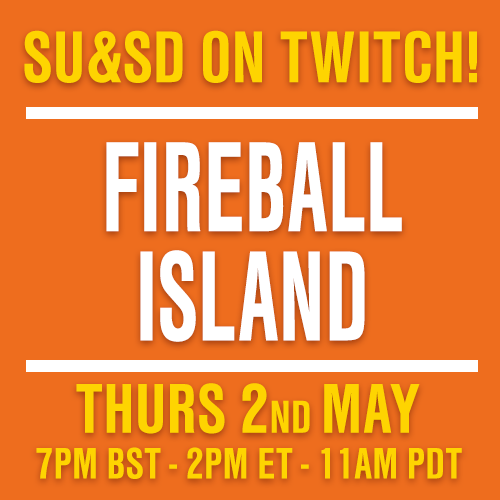 Paul: In brighter news, we have a welcome new twist to a very, very old theme, with Axis & Allies and Zombies, a game title I never imagined I’d ever be typing, yet here we are. 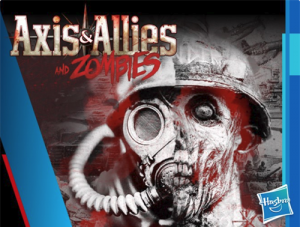 Dungeons & Dragons creative director Mike Mearls is one of the design team who has added the undead, plus chainsaw tanks, to Axis & Allies, the venerable and sometimes plodding game of grand strategy. I can’t say I’m immediately leaping at this, but Quinns was immediately curious. Still, if it really does breath some new life (or death) into the slightly stodgy series, we’re all winners. Quinns: Speaking of Dungeons & Dragons, can you believe that a D&D supplement has now raised over a million dollars on Kickstarter? By itself? And a supplement that’s so… generic? 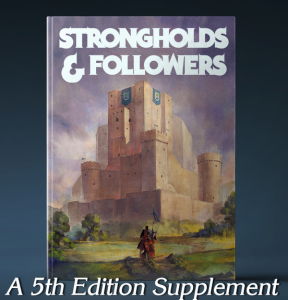 Strongholds & Followers is an add-on that includes rules and background for building your own castle, with some of the funds raised also going toward studio space for designer Matt Colville to livestream his next campaign. Really, I just wanted to include this story as a bellwether of how popular D&D has become. Paul: It’s now got to over a million pounds. Which I think means, uh, twenty million dollars? Oh wait, Brexit happened, so the pound is now worth… a handful of grass? I can’t tell any more. Anyway, I’m unabashedly keen to see something like this brought into the world as D&D has always been vague about the strongholds and properties that high-level characters can own. How do those work? How do you build them? Yeah, I can see myself getting something good out of a book like this and really enjoying the sort of play it’s angling for, so I don’t mind the genericness as it fills a gaping hole. But also… Nope! I too cannot believe how much money it’s made already. Clearly a lot of people want those castles. So many people. Quinns: Right? If readers of SU&SD would like to fulfil their dreams of property ownership, I’d like to recommend REIGN or Houses of the Blooded, two RPGs dedicated to playing powerful nobles from the get-go. Paul: In the early days of Games News, I remember sometimes struggling to find stories or announcements that really excited me, but now I feel like each week is a flood that I can barely stay afloat in. BoardGameGeek’s impressive convention coverage is always full of interesting titles, but what particularly appealed in their roundup of new games at the New York Toy Fair was Nyctophobia. It’s described as a “cooperative tactile maze game” where a team of blindfolded players have to feel their way toward their car before a murderous axeman, controlled by the only player allowed to see, catches up with them. I’m not sure if that’s funny or terrifying or both? Paul: That is definitely something I only want to play with friends. Quinns: I think one of the shapes you have to find is… a rasher of bacon? I’m more intrigued by the above. Following on from Games Workshop’s modest new edition of Necromunda, they’ve announced an introductory version of Blood Bowl called Blitz Bowl and something called Space Marine Adventures: Labyrinth of the Necrons, a small co-operative adventure for 1-4 players. I’m really tickled by that name. Space Marine Adventures! That’s a tone I might expect from a Lego game. But then, the Warhammer 40,000 universe has always been a bit of a Trojan horse. Kids get interested in it because of the loud guns and big shoulderpads, and then as a teen you graaaadually realise that the Space Marines are the monstrous right hand of a fascist government and can absorb the memories of dead people by eating them. Speaking of news stories in Tweet form, over the weekend Portuguese board game convention Leiria Con tweeted a photo of another expansion for SU&SD favourite Concordia, Concordia: Venus! What will the goddess of love and prosperity mean for this superb game? At the moment we have absolutely no idea. But Concordia: Salsa was a fine expansion indeed, so I’ve got a lot of hope. Speaking of Salsa, holy crap, have you seen the cover of the second edition compared to the first edition that we reviewed? Thank goodness these boxes now look as good as they play. Paul: Ew. Oh hey! Here’s some good news. Azul just won the As d’Or grand prize, which I think means… the golden bottom? 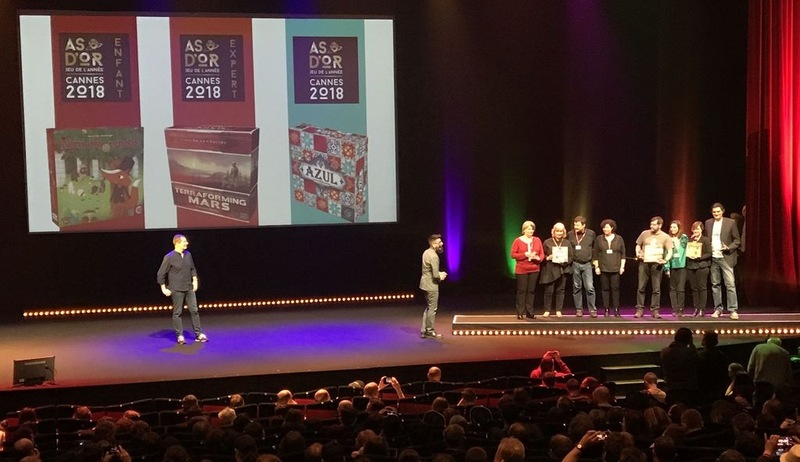 It’s France’s Game of the Year award, anyway, and Azul out-pedalled Flamme Rouge at the last moment and I can’t think of a finer honour for one of last year’s best games. Quinns: Absolutely. It’s wonderful to see Flamme Rouge getting some attention, too! It’s such a great game, now expanded with a free app and a lovely expansion, Flamme Rouge: Peloton, which we talked about in podcast number 69. People have gotta check it out. Paul: You just want more people to buy it so the designer can release the other two expansions that he’s designed. Quinns: …That is true. I’m the worst. If you missed our reviews of either of these fantastic games, you’ll find them here and here. Finally, here’s something I enjoyed this week. This Atlantic article questions whether dice were once seen as instruments of the Gods. Essentially, a new study on the evolution of ancient dice tells us that at certain times and in certain places it became less important to people whether their dice were cubic or not. This leads some modern historians to conclude that to these people, the roll of a dice was considered divine, and not random. The history of games and mysticism is more tangled than a lot of us might expect. When I was reading The Tabletop Gaming Manual this month I was delighted to find out that we don’t know if the Tarot (the game) inspired Tarot (the divination method) or vice versa. And of course, Snakes & Ladders began as a philosophical tool. At some point, this hobby became more science than magic. Wouldn’t it be nice to get a little of that back?